Socio-Political-Journal... : The FTC Is Now PROBING Facebook’s Use of PERSONAL DATA. The FTC Is Now PROBING Facebook’s Use of PERSONAL DATA. Facebook is facing a Federal Trade Commission probe over the growing scandal in which it handed over the personal data of 50 million users to controversial research firm Cambridge Analytica. The investigation will seek to determine whether Facebook violated the terms of a 2011 consent decree it signed with the FTC, which restricted the ways it could share users’ personal data, according to a Bloomberg report Tuesday. Facebook and FTC had reached the settlement after the agency accused the social network of deceiving its users “by telling them they could keep their information on Facebook private, and then repeatedly allowing it to be shared and made public,” the FTC said at the time. Among other things, Facebook had told users that third-party apps on its site wouldn’t be able to access their data. Nevertheless, the apps got access to almost all of their personal information, according to the FTC. Facebook agreed to a $40,000 penalty for each future violation. 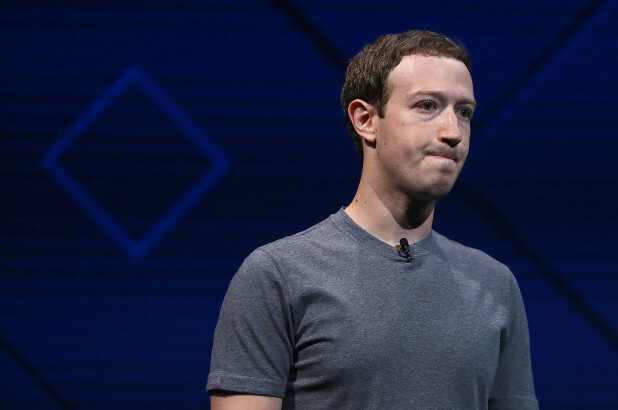 Mark Zuckerberg’s company could be facing “many millions of dollars” in fines if it is found guilty, the Washington Post reported over the weekend. Facebook has insisted that it was Cambridge Analytica that mishandled the data, as well as app developer Aleksandr Kogan. Separately, UK officials have summoned Zuckerberg to provide evidence in a review of the mess, although he isn’t obligated to appear. On Monday, Facebook said it hired forensic investigation firm Stroz Friedberg to probe Cambridge Analytica. But it later updated the statement, saying it has backed off at the UK’s request. Facebook shares, which dropped 6.8 percent Monday after news of the data leak broke over the weekend, were off an additional 2.4 percent at $168.65 in Tuesday morning trades.